Three boats of approximately 150 people each were rescued in the Mediterranean Sea by the Bourbon Argos and taken to Sicily, Italy, 8 June 2016. Since 1 January 2016, 200,000 people have arrived on European shores by sea. The great part of them arrived through the Aegean Sea before the closure of the so called Balkan road and around 50,000 arrived in Italy through the dangerous Central Mediterranean route. At least 50,000 are stuck in Greece after the closure of the Balkan route, with the extremely dangerous Central Mediterranean becoming one of the few remaining opportunities to reach Europe for thousands of people. More than 2,800 people died this year at sea, 1,000 more than in the same period last year. The lack of safe passage to reach safety in Europe is pushing people to risk their lives in dangerous routes and in the hand of smugglers. So far, the EU’s response to the crisis at and within its borders has catastrophically failed to address the urgent humanitarian and protection needs of refugees and migrants. With more than 2,800 people who already lost their lives in 2016, it is now time for the EU to put in place measures that will provide safe and legal alternatives for refugees and migrants to access the assistance and protection they are desperately seeking. Deterrence policies sold to the public as humanitarian solutions have only exacerbated the suffering of people in need. Since the beginning of this crisis, Europe’s main focus is not on how well people will be protected, but on how efficiently they are kept away. MSF has treated around 200,000 people in 18 months, responding to a crisis that was produced by restrictive European policies. Europe needs a dramatic shift from pushing people back to policies that protect and assist as many people as possible. The reception conditions in Greece and in Italy are still completely inadequate to provide adequate care and support to refugees and migrants. Around 50,000 people are today stranded in Greece in undignified conditions: 8,000 men, women and children including hundreds of unaccompanied minors, are blocked on the Greek islands, stuck in ill adapted camps, without sufficient access to basic services; some others are stuck in the mainland living in inadequate conditions, with little hope other than smugglers to access their aspirations to find protection and reach family members. In Italy, although the number of arrivals is no so different from last year, the Italian reception system for asylum seekers is put under strain, and it is still structured on an emergency logic, not always fulfilling minimum standards and often without taking into consideration specific needs or vulnerable cases. Khadija, a mother of four from Syria, is now detained on Samos island, Greece, along with her children. The enforcement of migration cooperation deals between the EU and its member states with third countries is resulting in unacceptable humanitarian consequences and jeopardizing the right to seek asylum. The EU/Turkey deal is the latest in a long line of anti-humanitarian policies that European governments are debating with the single goal denying people the right to claim asylum. This deal has already dramatic humanitarian consequences in Greece and sets a dangerous precedent for countries hosting refugees, sending a message that caring for people forced from their homes is optional and that they can buy their way out of asylum. The EU’s restrictive approach has already been cited by Kenya as justification for closing the world's largest refugee camp in Dadaab. This deal also does nothing to encourage countries such as Jordan, Lebanon and Turkey - who are hosting millions of Syrian refugees - to keep their borders open. European countries are only accepting a small share of the total number of displaced: Most of the world’s displaced people live elsewhere in their home countries or in the counties surrounding their home countries, relatively few are granted asylum elsewhere. The only way to save lives and alleviate the suffering of these people is to provide them with a safe passage through the swift provision of safe and legal channels for people seeking asylum and the creation of legal migration pathways making wider use of legal entry schemes, such as for example family reunification, humanitarian visas, simplified visa requirements, resettlement and relocation. It is imperative that EU and international actors provide ambitious search and rescue proactive and dedicated mechanism to save lives at sea. This operation should proactively search for boats in distress as close to departure points as possible and should be accompanied by pre-identified disembarkation points where humane disembarkation procedures, including adequate reception conditions, medical care and vulnerability assessments, are in place. The focus of European policies on targeting smugglers, who remain a symptom of the lack of safe and legal channels, should not take precedence over the urgency of providing lifesaving assistance and appropriate humanitarian assistance for those who risk their life in search of safety and a better life. Adequate, dignified and human reception conditions are urgently needed: Rather than focusing on deterrence measures and externalization agreements, Europe should invest much more in reception according to EU standards. Europe must move away from a fortress approach to a reception approach designed to address the humanitarian and protection needs and specific vulnerabilities of people arriving at its borders, in particular their medical and mental health needs. In the absence of a functioning common European asylum system, and in order to avoid the high pressure on the first reception countries like Italy and Greece, Europe should invest more ambitiously in intra-EU relocation schemes and in the creation of safe passage through the EU. According to UNHCR, 52,637 (update June 12) persons arrived to Italy in the first five months of 2016 and this year is proving to be particularly deadly: some 2,856 lives have been lost so far in the Mediterranean Sea. The last week of May has been one of the deadliest so far with a series of shipwrecks: in three days and three sunken ships with up to 900 hundreds people dead. MSF decided to resume its search and rescue activities between Africa and Europe, put in stand-by at the end of 2015. The MSF teams are on board three ships that are prepositioned in international waters north of Libya and actively searching for boats in distress. MSF's three experienced medical teams made up of doctors, nurses, midwives as well as non-medical staff (logisticians, water and sanitation experts, cultural mediators) provide lifesaving emergency care as well as treat dehydration, fuel burns, hypothermia and skin diseases the main pathologies observed among those rescued. A quick medical response can help prevent people suffering further medical complications, especially women and children, who are often the most vulnerable. The Dignity1, a 50-meter vessel, set sail from the port of Valletta, Malta on 21 April. The ship, which has the capacity to take on board 400 rescued people, has a crew of 16 (all MSF staff). The Bourbon Argos, 68,8 metres long, left the port of Cyprus on 30 April. The ship, with 10 MSF staff members and 15 non-MSF crew, can transport approximately 500 people. The MV Aquarius, is 77 meters in length and began operations on 26 February; on 6 May an MSF team came on board provide humanitarian medical aid with a team of eight people. The ship is chartered by SOS Mediterranee in partnership with MSF. It has the capacity to take onboard up to 500 rescued people. Since the beginning of SAR operations (21 April, 2016), MSF teams on board Dignity I, Bourbon Argos and Aquarius rescued 3,623 people during 29 different rescue operations. So far, the two most intense days for MSF teams were 8 and 9 June, when they were involved in a total of 11 rescues with 1,300 people rescued in approximately 36 hours. More than one-third of those rescued in these two days were women and children (314 women and 171 children and unaccompanied minors). MSF launched rescue activities in the Aegean Sea off the island of Lesvos in collaboration with the international organisation Greenpeace. At the end of March, Greenpeace has wrapped the rescue operation on the Greek island of Lesbos and handed over to MSF team on the island who are now ready to take full charge of the operation for the longer term. In the recent weeks the numbers coming from Turkey to the island of Lesvos decreased significantly. Our teams are still monitoring the flows, ready to be deployed in case of need. Between December 2015 and June 2016, the MSF/Greenpeace Rescue operation assisted more than 18,117 people in 361 interventions. According to UNHCR, 52,637 (update 12 June) persons arrived to Italy in the first five months of 2016 and this year is proving to be particularly deadly: some 2,856 lives have been lost so far in the Mediterranean Sea. The last week of May has been one of the deadliest so far with a series of shipwrecks: in three days and three sunken ships with up to 900 hundreds people dead. Zarzis: MSF has been working with fishermen in Zarzis, Tunisia to offer training in search and rescue. Fishermen are often on the first line of the response when boats get into trouble near their fishing grounds and have been given material as well as training to assist them in their efforts. MSF has also provided training to the Tunisian and Libyan Red Crescents in dead body management. Since January 2016, 52,637 people have arrived on Italian shores, with the majority of them disembarking in Sicilian ports. During the same period, 2,859 people have died during the perilous sea crossing through the Central Mediterranean. With the only exception of the month of March (9,676 people in 2016 vs. 2,283 in 2015), the trend of arrivals is not changing compared to last year. According to the UNHCR, the main countries of origin are Nigeria (15%), Gambia (10%) and Somalia (9%). 74% are men, 10% women and 16 %children, whom 14% unaccompanied minors. In addition, the Italian reception system for asylum seekers is put under strain, and it is still structured on an emergency logic, not always fulfilling minimum standards and often without taking into consideration specific needs or vulnerable cases. According to the Ministry of Interior, there are currently 100,000 migrants hosted in reception centres, of whom only 30% are hosted in ordinary reception centres (SPRAR), and the remaining 70% in temporary hubs (CAS-emergency reception centres). In order to face the new arrivals, the Ministry of Interior has created new ad hoc temporary reception centres (CAS), and in January opened a call for tenders for 10,000 additional places, but which hasn’t given any concrete result yet. Gorizia: In the Northern city of Gorizia, at the border with Slovenia, MSF is providing medical care and shelter for the hundreds of asylum seekers in the region not immediately accessing the institutional reception system, following their request for international protection upon arrival in Gorizia. In December 2015, MSF installed 25 containers, with a capacity of 96 places. Shelters offered by MSF have been sufficient so far to respond to the totality of the local reception needs: all the available places were assigned and there was no further space left for new comers. The MSF shelter has, in the past months, represented a temporary solution providing a dormitory and hygiene facilities while asylum seekers would wait for their transfer to a governmental reception structure. Such response was coupled with the provision of medical screening, in collaboration with the local health system, in order to guarantee and improve their access to health services. Since the beginning of the project, around 800 medical screenings and visits have been carried out in partnership with the IRC and the local health service. In addition, in the last two months psycho-education sessions have been run by MSF psychologist and an educator of the mental health local hospital, covering 65 people hosted at the San Giuseppe. At present, we are working with local authorities to organize the handover of the centre management and of medical activities, which are supposed to continue after our departure, foreseen by 30 June. As of 14 June, we received the official authorization from the local municipality, in order to proceed with the adaptation to standards of the containers structure and to proceed with the handover of the shelter-related service to a local managing company. Rome: On 04 April 2016, a new rehabilitation centre for torture survivors opened in Rome, focusing on trauma-related vulnerabilities. The project is aimed at providing rehabilitative service through a multidisciplinary approach (medical, psychological, physiotherapy, social and legal assistance) to people who have been victims of torture or inhumane treatments in their country of origin or during perilous journeys to reach Europe. Project activities are carried out in collaboration with an Italian organization (Medici contro la tortura), with years of experience in torture victims rehabilitation, and ASGI-Association for Law Studies on Migration, experts in legal support for migrants and asylum seekers. The main countries of origin of the project’s beneficiaries are Nigeria, Mali, Afghanistan, Ghana, Gambia and Egypt. Since the opening of the centre, 50 people from 20 different countries have been receiving assistance through individual consultation, and with the support of specialized cultural mediators. Since February, MSF has also been carrying out an activity of echocardiographic screening aiming at identifying positive cases of rheumatic heart disease within migrant population in Rome. The project is implemented in partnership with the National Institute for the health of migrant population and the fight against poverty –related diseases (INMP) and to the Cardiology department of the Hospital of the Tor Vergata University. MSF Temporary Camp in Gorizia, Italy. As of now, the project’s activities have been carried out at nine centres for unaccompanied minors and one informal structure (an occupied building). Twenty three screening sessions were carried out with a total number 152 people tested, with a high prevalence of Egyptian nationals (89%) followed by Afghani, Bangladeshi and Pakistani citizens. The result of the screening exercise highlighted a 40% of borderline cases. In the face of shipwrecks and deaths at sea, MSF decided to be at the arrival spots for the second year, assisting people onshore by providing a Psychological First Aid –PFA. PFA activities are aimed first of all at restoring the sense of hope and dignity in all the survivors, in addition to an obvious psychological support. A mobile team composed of a psychologist and specially trained cultural mediators is deployed within maximum 72 hours after the alert given by the Italian Ministry of Interior. A number of essential services are then given to survivors, such as access to basic needs, orientation and information, referral of severe medical cases, emotional and psychological support. According to the landing location and with the agreement of national authorities, group and/or individual psychological sessions are provided. Between the end of April and the end of May 2016, 7 PFA operations have already been conducted, and 16 individual sessions with several emotional group debriefings. During the activities of psychological and medical assistance at disembarkation spots and in reception centres, which have been implemented from 2014 in Sicily, a high rate of mental health disturbance have been observed by MSF teams. Around 40% of the arrivals presented mental health problems related to trauma suffered in the country of origin and along the migration route. For this reason, psychological assistance project for asylum seekers inTrapani reception centres (CAS) was started in May. The project is carried out with the support of the Local Health Authority (Azienda Sanitaria Provinciale – ASP). A team of psychologists and cultural mediators goes weekly to 15 different reception centres to provide psychological support through collective and individual session. In addition, capacity building activities are carried out regularly with the centres' psychologist, in order to provide a more coordinated and needs-based response to those people with specific vulnerabilities. With the closure of the main Balkan migration route towards Western Europe, there are approximately 52,000 refugees and migrants on mainland Greece and about 8,000 on islands. So far this year, over 157,000 people have arrived in Greece via the Mediterranean Sea and nearly 400 people have died. It is estimated that in the first four months of the year, 9,296 asylum applications (target 50,000) were registered in Greece. Pre-registration is being implemented in an effort to kick-start a stalled process. Lesbos: In March, in light of the EU-Turkey deal the Moria centre was declared a ‘hotspot’. The centre changed from a registration centre allowing people to leave the islands and find protection somewhere in Europe, to become a pre-removal centre for people to be deported to Turkey. MSF therefore took the decision to cease working in Moria camp, as we felt we could not be complicit in this system. MSF also ceased providing transportation between the north of the island and Moria camp. Since becoming a hotspot, the overall living conditions in Moria have declined. Security has also become a concern, as people are frustrated and angry with the lack of information and clarity of procedures available to them and with the terrible living conditions. In April, some of the most vulnerable people were transferred from Moria to Kara Tepe camp, where MSF is providing primary and mental health care through a mobile clinic seven days a week. MSF continues to support the other health actors working in Moria by making the old MSF clinic available. MSF also continues to provide emergency support in case of mass casualty incidents after fighting in Moria. Since the beginning of January, MSF medical teams have conducted 11,216 medical consultations. MSF psychologists have assisted 266 people through individual sessions and have conducted 139 group sessions with 599 participants. MSF also established a transit camp in Mantamados, which was initially for new arrivals. In May, it became a temporary home for 75 unaccompanied minors. In collaboration with Praksis and Save the Children, the needs of these vulnerable adolescents are attended to, with MSF providing medical and mental health care. However, this can only be a temporary solution and more should be done to reunite these teenagers with their families in Europe or find alternative permanent open facilities to accommodate them as a matter of urgency. Due to the implementation of the EU-Turkey deal, an immediate unmet need was identified in legal aid. MSF provided the funding for three experienced local Mytilini Bar Association lawyers to give legal aid to refugees who are going through the second stage of appeal during the admissibility procedure. To-date we are funding 20 cases and are awaiting the verdicts from the appeal committees. MSF continues to provide support to volunteer organisations in the form of NFI donations and provides support services to their activities. Samos: Following the EU-Turkey deal, the hotspot of was transformed into a closed detention centre. There are approximately 1,000 people living in the camp and in mid-May tensions boiled over and riots and fires broke out. MSF is providing donations to volunteers who work in the camp, and has also starting moving vulnerable people such as pregnant women and their families, and families with children aged under six months out of the camp into a hotel on the other side of the island, where primary care, mental health consultations, food and psychosocial activities will be available. Sixty people have been moved there so far, and there is room for around 200. MSF was running a land rescue team on Samos offering first-aid to arrivals, but with the decrease in the number of people landing on the island this activity will cease in mid-June. Since the beginning of 2016, 5,721 people have been seen and medically screened by our teams. That is around 53% of the total number of arrivals. Samos hotspot, which became a detention centre on 20 March 2016. More than 900 asylum seekers and migrants are detained there. Idomeni: MSF started working in Idomeni camp in April 2015, and was there until the camp was forcibly emptied on 24 and 25 May. During its time in the camp, MSF team undertook more than 38,000 medical consultations. We also distributed relief items and provided food, shelter, water and sanitation facilities. The camp was estimated to be home to over 8,000 people at the time it was closed, but at its peak had housed over 14,000. Conditions in the camp were very bad, with flooding making life very hard for the inhabitants. However, the Greek authorities were criticised for the way the eviction unfolded. People were not told where they were going, they were forced to leave, aid agencies were restricted access to the site and volunteers were completely banned from entering. The refugees and migrants were moved to new “warehouse” camps, where initially conditions were very bad. There was overcrowding were pitched very closely together, and there was inadequate provision and maintenance of water and sanitation. Conditions have since improved, with other actors getting involved but these remain largely industrial buildings that were not meant for human habitation and there remain real fire safety concerns. MSF is monitoring the situation to see if mobile clinics will be needed. In addition to Idomeni, around 3,000 refugees and migrants have been staying at the gas (EKO-station) station less than 20km from the camp, and in other informal sites. The Greek authorities have moved people from these areas to official camps but many are being taken to unsuitable warehouses. During May, MSF provided over 3,500 consultations in Idomeni camp and through its mobile clinics. Athens: About 14,000 people are blocked in Athens and the surrounding area. People are gradually being transferred from Piraeus Port to other locations. MSF is providing medical care, but over the last few weeks has cut back on the number of days spent at the site as the number of refugees has fallen and medical care is now more easily accessible. As of mid-May, MSF had provided 1,313 consultations and referred 97 people to secondary health facilities. MSF had also distributed 6,600 meals in support of volunteer groups, and donated 10,000 blankets. MSF has also been providing outpatient consultations at the Eleonas Hospitality Centre for Refugees, which is home to 2,200 asylum seekers, mostly from vulnerable groups. The team deals with referrals from other organisations and accompanies patients to hospital and provides them with translators. So far in 2016, MSF has provided 2,438 consultations and referred 260 people. Victoria Square in the centre of Athens has become an unofficial meeting place for migrants and refugees of all nationalities. On 12 February, MSF started providing primary healthcare (713 consultations and 61 referrals so far this year) in a facility next to Victoria Square, which is open in the evenings. At the end of May, we also started provided mental health activities. MSF mobile clinics also visit other camp locations in the Attica region, providing mental health consultations. MSF mobile clinics continue to visit three camps at Elliniko site, hosting around 4,000 people. The main activities are sexual and reproductive health (60 consultations a week), and mental health consultations (30 consultations a week), as well as health promotion activities four times a week. People are living in tents in the abandoned airport’s arrival hall and in two Olympic sports stadiums. The government plans to empty the airport site soon. MSF will provide shading material to cover the tents at the baseball stadium (one of the three sites), which are directly exposed to the elements. A multi-antigen vaccination campaign is planned for the children living in the Elliniko camps for the end of June. Around 1,260 children under 15 will be vaccinated. Teams are also visiting unofficial sites (e.g. squats) where refugees are living, to assess access to healthcare and vaccinations, and to identify possible fields of intervention. A mapping of the sites is ongoing. The opening of the sexual and reproductive and mental health clinic in central Athens is planned for the beginning of July. In October 2014 in Athens, MSF launched a project offering medical rehabilitation to migrants and refugees who had suffered systematic violence in their country of origin, during their journey or whilst in Greece. The MSF team, in cooperation with two local partners BABEL mental health day center and the Greek Council for Refugees, offers medical assistance, including psychiatric care and physiotherapy, as well as psychological, social and legal support aimed at rehabilitating victims of torture and violence. In the last few months as a result of a change in the context – the closure of the Balkans migration route which resulted in more than 50,000 refugees being “trapped in Greece” – the project has been receiving four times more requests for assistance than previously and is in the process of increasing its capacity to respond to the increased needs. Elliniko camp, located on the former airport site, converted into 3 sports stadiums. These 3 sites are welcoming between 900 and 1,500 refugees each. So far, 240 people from 35 countries have received assistance in 2,058 individual consultations with the medical doctors, 828 sessions with the physiotherapist and 723 sessions with the MSF psychologist. Thermopiles, Central Greece: In Thermopiles MSF just started working in a refugee site hosting around 450 predominantly Syrian refugees, mainly families. They are living in an abandoned hotel that is located 20km from the nearest town. MSF mobile clinics visit once a week, providing sexual and reproductive healthcare (40 consultations provided for women on day one), mental health services and building a referral network with the local hospital. We are also assessing other needs, especially NFIs and we are planning to distribute shade nets and mosquito repellent to mitigate potential health risks. A multi-antigen vaccination campaign is planned for the children living at the site at the end of June. Around 160 children under 15 will be vaccinated. Epirus, Katsikas and around: At the beginning of May (end of April), an MSF team began working on the government-run camp of Katsikas (1,000 refugees), offering paediatric, women’s and mental health care. People were reticent to visit a male army doctor in uniform, and so MSF provided doctors for the refugees, including a female doctor. Médecins du Monde started working in the camp at the end of May and took charge of primary health. The MSF clinic is now open three days a week and takes in charge the chronic cases and referrals to Ioannina hospitals. MSF has started offering mental health consultations five days a week and has taken in charge hospital referrals. MSF also runs mobile clinics to smaller camps (Doliana, around 205 people, 1 day a week; Tsepelovo, around 140 people, 1 day a week) located nearby. Mental health consultations are about the start in Doliana and Tsepelovo. Distribution of hygiene kits took place in Doliana and Tsepelovo. A vaccination campaign (pentalavent, PCV & MMR) is planned for the first half of July in Katsikas, Konitsa, Doliana and Tsepelovo camps (authorisation is pending). Agathonisi: On the island of Agathonisi, close to Samos, an MSF team was welcoming new arrivals, providing medical care and shelter to refugees when they landed. The number of arrivals has decreased since the EU-Turkey deal came into effect, and MSF has now ceased activities. However, we are still monitoring the situation. In 2016, MSF welcomed 1,688 people. Korinthos: In February, MSF started providing medical care in the Korinthos detention centre. Activities ceased in May. During the intervention, MSF provided 276 consultations. Kos/Leros: MSF ceased its activities on Kos and Leros in May, due to a decrease in the number of new arrivals. We are monitoring the situation. Since late 2014, MSF teams have been present at both entry and exit points in Serbia offering medical services, mental health support and distributing NFIs to people transiting through Serbia, onwards towards Croatia and Hungarian borders. The closure of the so called Balkan route has pushed people towards criminal networks and irregular routes exposing them to kidnappings for ransom and additional violence and abuses. Around 2,000 people from mainly Afghanistan, Pakistan and Syria, are currently in Serbia, with between 250 – 450 new arrivals everyday through more dangerous and deeper smuggling routes from FYROM and Bulgaria emerging as a new route. Hungary remains the only legal entry to the EU but the daily quotas reduced significantly from 60 to 15 people per day for each transit zones and with an increase in the number of reported violent push backs and the use of violence since May. From 1 January until 10 June 2016, MSF teams provided a total of 16,833 consultations in Serbia. MSF psychologists have also supported more than 376 people through individual sessions and conducted more than 348 group sessions with 1,309 participants. Belgrade: After the implementation of the first restrictions to the “Balkan route” in November, MSF saw an increase in the number of people staying again in Belgrade parks, sleeping in the street or at train station with low temperatures and lack of support at night (shelter, food, medical, legal). Since 20 March MSF has a fully equipped mobile clinic in a truck at the park close to the main train station. MSF started activities in Belgrade with a mobile clinic providing primary health care and distributing NFIs during the afternoon in the park next to the train station and in the evening at Krnjaca asylum camp, a collection of barracks 8km from central Belgrade. These were home to families, elderly and refugees from the region. Since April, the Commissariat for Refugees and Migration is inciting people to go to camps therefore Krnjaca is at its full capacity. With the warmth of the coming summer, the increasing skin diseases developed at the transit zones and the expected increased number of people, water and sanitation activities are going to be another concern in Belgrade. MSF has been advocating for shelters and protection solutions for this vulnerable population, this is also a population that often has tried to pass to Croatia or Hungary and has been denied access on the train or has been pushed back by police. Although MSF has not witnessed these events and cannot identify perpetrators, we have treated cases consistent with the stories told by our patients – coming from Bulgaria, Macedonia and Hungary. Presevo: Since the new border control measures have effectively blocked the passage of refugees, the Refugee Aid point (RAP) in Miratovac has been closed. With the number of people passing from the Macedonian border decreasing dramatically, MSF team has stopped its activities at entry points and around Miratovac end of April. Subotica: In Subotica, near the border with Hungary, the total number of people in the Refugee Aid Point (RAP) and the transit zones of Kelebjia and Horgos is steadily rising and oscillates in between 450 and 650. MSF has assisted this population since 1 April with 3,702 medical consultations. MSF has also donated 6,245 blankets, 1,305 hygiene kits and 1,791 half liter bottles of water as well as other items to help people. MSF also has provided basic waste collection at the sites contributed to refer medical cases to protection actors when needed and is lobbying for increased access to shelter, sanitation and hygiene facilities. Refugees wait at a transit point in Tabanovce, on the Macedonian (FYROM) - Serbian border. Due to stricter conditions of entry for refugees of all nationalities travelling along the Balkan route more refugees are finding themselves violently pushed back from FYROM (Former Yugoslav Republic of Macedonia). Reports of violence in FYROM have been brought to the attention of the relevant authorities. FYROM is also undergoing political unrest with demonstrations on the streets of the capital. Calais: An estimated 5,000 refugees continue to live in the Jungle despite the forced eviction by French Authorities of nearly half of the refugee camp in March 2016. Today the Jungle sits on half the surface area of the original site and overcrowding is heightening tensions within a vulnerable population. Violence between migrants flared on 26 May, leading to a fire that scorched 3,500 square meters of the camp and left over 800 people without shelter. Additionally, due to the constant flow of arrivals to the Jungle, water and sanitation facilities remain a major concern. MSF is increasing its support for the most vulnerable groups within the Jungle: women, unaccompanied minors and migrants demonstrating psychological problems through outreach activities and the support of a psychologist & psychiatrist present in the Jungle's health center. MSF will open a Youth Center, in partnership with other organizations present in the Jungle, for minors that will offer mental health support, access to legal information and educational activities. At the beginning of June, over 350 unaccompanied minors were documented in the Jungle. The number of unaccompanied children in Calais’s Jungle is continuing to grow and today there is no state-sponsored support for this extremely vulnerable group of young people inside a dangerous zone. Daily life in La Linière, the new camp in Grande Synthe provinding decent living conditions to the refugees. Grande Synthe: The French government has agreed to support the financing of the Grande Synthe camp over the next year, promising 3.9 million Euros. The mayor’s office has chosen the AFEJI (Association Flandres Education Formation Jeunes Insertion) to take over the camp’s management, replacing the organization UTOPIA 56. Despite the government’s investment in the Grande Synthe camp, MSF continues to monitor the situation and the ongoing handover. MSF stands by its founding principles for the Grande Synthe camp and trusts that the future running of the camp will continue in respect of these ideals, agreed upon with the Mayor when the camp was constructed: to bring people into dry sanitary environment, provide access to medical care, provide basic needs such as drinking water, food, hygiene products and create an environment that is safe and secure while allowing people to come and go from the camp freely. Lastly, the government must continue a close collaboration with the numerous associations working in the camp. According to the latest figures gathered by the police May, the camp’s population has decreased to 757 people. 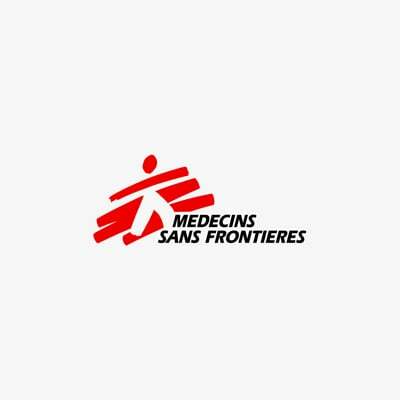 MSF continues to operate a health center in collaboration with Médecins du Monde, Gynécologue Sans Frontières and the French Red Cross inside the camp. Additionally, psychological support services and women’s health services are provided. All health services offered in the camp work in conjunction with the local hospital in Dunkerque through a referral system. From 1 January to 31 March MSF teams conducted 1,217 medical consultations. On average, MSF and the French Red Cross conduct 48 psychological consultations per month.